We offer numerous online business tools that make it easy for you to do business with us. We communicate with you primarily with email but also by phone. We make and send you proofs based in your inputs, you critique the proofs, we revise them, and we iterate the design until you are satisfied with it. You can then order the sign.You can send us sketches, photos, line drawings, and any other information as attachments to emails or the “Send a File” feature on our website. 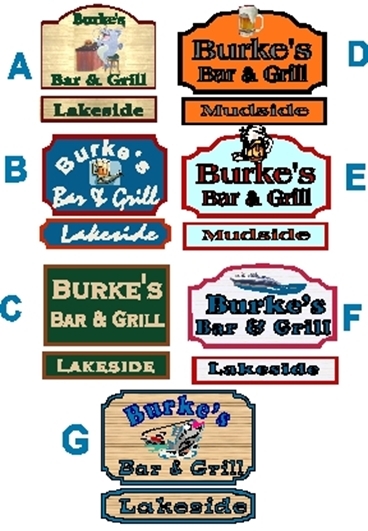 Above are a few recent signs and plaques we have made for companies ,stores, and restaurants. All of these had designs and proofs submitted on-line to our customers, reviewed by them , and then we incorporated their design changes (up to 5 iterations), until finally a production proof was approved by the customer and submitted for production.